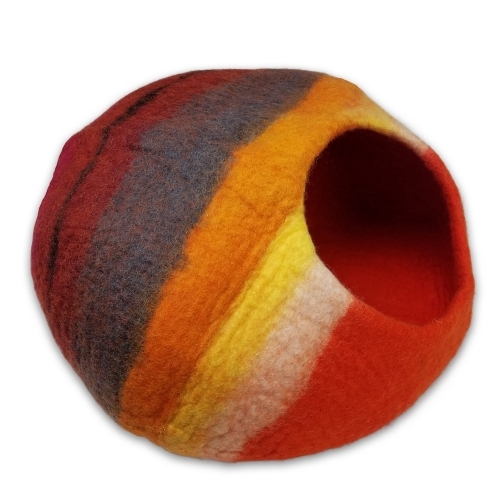 Each Pet Cave is made with love with the highest quality wool available to ensure that your pet is happy and healthy. Walking Palm Pet Caves fit all pets up to about 16 lbs. Easy to clean with lukewarm water: merino wool is not only soft and flexible, it offers natural properties to keep your pets cleaner and smelling better. Available in two sizes, and assorted colors and patterns.